The event is free but booking is necessary. 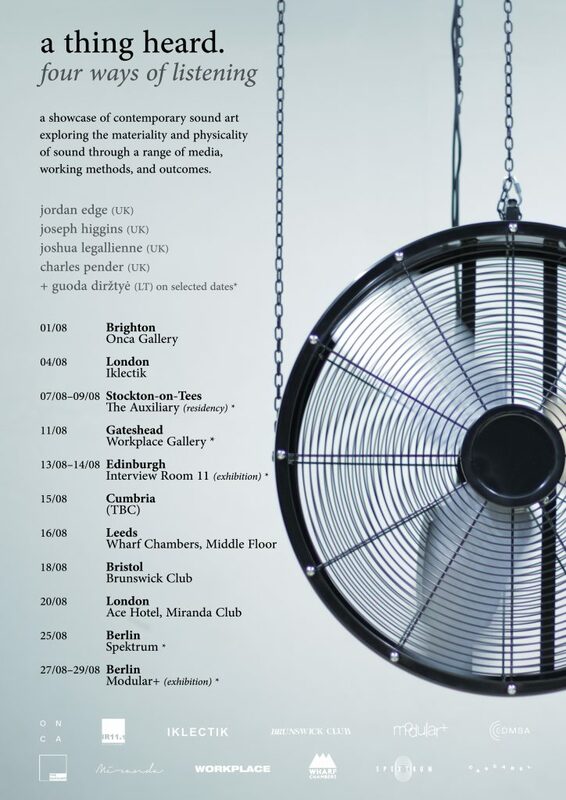 The Digital music and Sound Arts course (School of Media, University of Brighton) teams up with Echoes.xyz to launch a new mobile phone audiowalk showcasing selected works by current staff and students in the course. 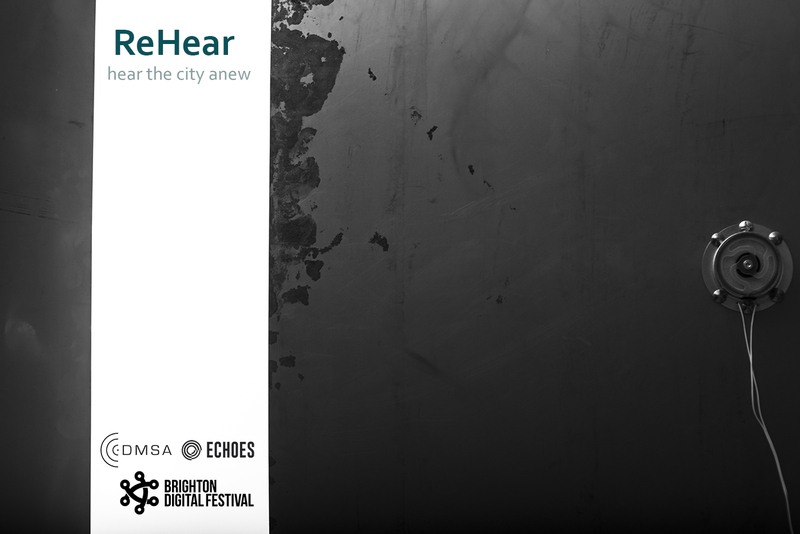 The launch event is part of the Brighton Digital Festival 2017 programme and is supported by the University of Brighton’s School of Media. For ReHear, the artists chose a specific site to locate their work within and to give it a new life and identity. 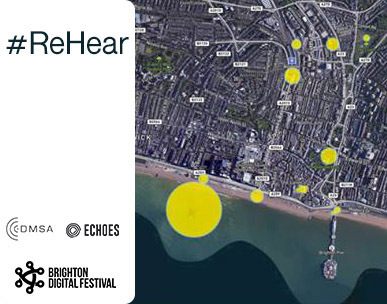 ReHear places these pieces in real locations across Brighton and asks us to hear again but differently. Using a mobile phone and a pair of headphones, anyone can walk around and experience the city anew. On the 29th of September, ReHear will have its official launch as part of a special event where members of the audience can meet the artists and the app developers and learn more about the project, the technology behind it and the process of creating it. They will then have the chance to use their mobile phones to experience the project. Jean Martin, Charles Pender, Mandie Brooks , Sonny Bacon, Jedd Winterburn, Olivia Louvel, Brianna Leeds, Samirah Roye, Jordan Edge, Steven Mallinder, Maria Papadomanolaki, Jeph Vanger. Please bring a mobile phone with WiFi/3G/4G capabilities and a pair of headphones. The Digital Music and Sound Arts course explores innovative AV media, music/sound arts practices and productions. This event is open to all people. Join Dr Professor Kelly Snook at this year’s British Science Festival. Kelly Snook will guide you through Kepler’s harmonies, allowing the audience to become immersed in space using augmented reality and innovative data gloves. Taking place in Brighton from 5- 9 September, co-hosted by the University of Brighton and University of Sussex.